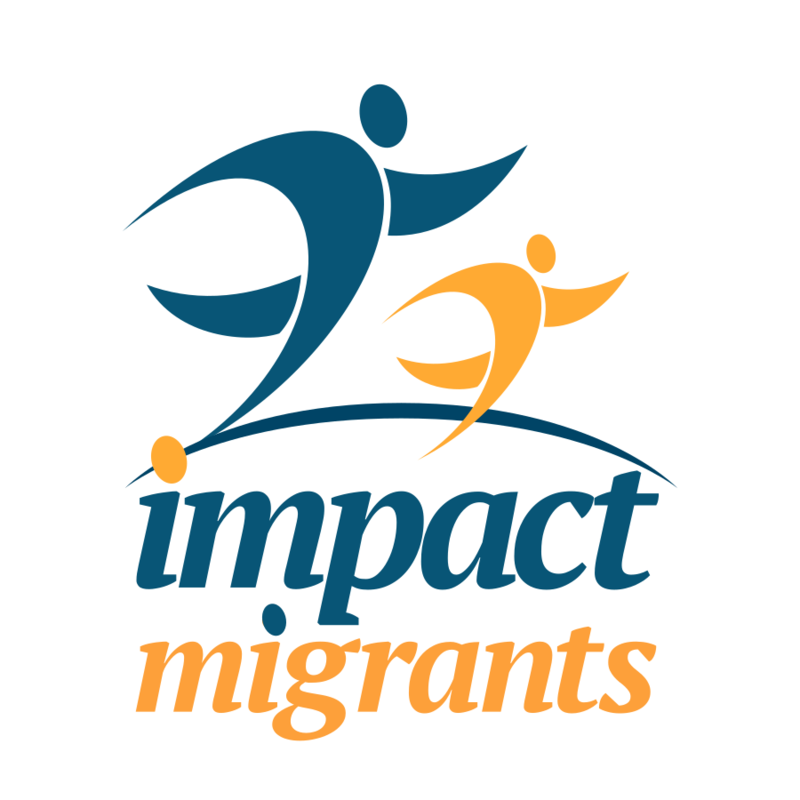 Impact Migrants is a lean social startup to address the challenge of an increased flow of migrants with a profitable and sustainable business model and significant social impact. We have put special care in documenting the components of our social business so that they can serve as learning tools and models of a real life case of lean social business models. An increasing flow of migrants whose skill set does not match the needs and priorities of receiving societies. Even when they are willing to hire migrants, it’s difficult and risky for businesses to hire migrants. Their human resources departments are not prepared to handle migrants, so actual hiring is limited and slow. The slow process of regularization for migrants lasts between 6 to 18 months, at a significant cost for society (lodging, food, health) and resulting in wasted time for their insertion and capacity building. In addition, conventional social assistance supporting migrants has short term impact and requires recurring actions and costs. Once settled, migrants compete for the jobs of low-income nationals and end up at the bottom of the economic pyramid with low-income. Impact Migrants makes it easy for businesses to hire migrants by providing custom on-demand training for the specific skill sets participating companies require and accompanying their integration within the workforce and corporate culture. Special focus is given to social skills to facilitate their integration under the guidance of mentors and experts. In addition, migrants acquire local experience and reputation by participating in our products and services marketplace. Their in-person training is supported by our digital campus for continuous access to learning content and programs. Finally our moderated on-line job board facilitates efficient matching by allowing validated businesses and migrants to post job opportunities and interests directly. Training program offering standard market-based programs and custom skill sets training required by businesses. Mobile Learning platform for continuous access to content and programs online and via mobile devices. Mentoring platform matching with experts and volunteers specific professional skills. Freelance platform of products/services where they build experience and reputation. Moderated Online Job platform facilitates efficient matching by allowing validated businesses and migrants to post job opportunities and interests directly. Corporate Integration Program accompanies migrants hired for 6 months with weekly follow-up with supervisors, colleagues and themselves, reducing the risk of hiring. IT Services outsourcing offering local affordable IT services to businesses. We estimate the following impact for the first 5 years. We expect to grow and expand beyond Paris and France and reach other countries and regions where businesses, the local economy, migrants, displaced individuals, disaster survivors and population segments in disadvantage can benefit from our model for efficient articulation. Thanks to our use of digital tools, content, lessons learned, best practices and even activities can be replicated easily and undertaken in other places without major expenses or investment requirements. The migrant situation is real and increasing around the globe. We want to be a part of its solution, so that it's not called a crisis anymore and start being perceived as an opportunity for all. While our Social Impact Model and holistic vision define a number of specific interventions, our initial actions focus on a single service and business model for immediate social impact. We make it easier for businesses to hire migrants by providing custom training to match the skill sets they require and following up with hired migrants for 6 months to guarantee their smooth integration within their workforce. We seek €650,000 for the first 4 years, becoming profitable on the 4th year and returning the investment on the 5th year. The accumulated profit on the 5th year is €1.6 million and the financial value of our social impact is estimated at €142 million. At the end of 5 years, our ROI is 199% and the Social ROI 21,899%. From the 5th year on, profit continues to grow to over €2 million/year. We have designed two simple, low cost pilots that can be implemented anywhere with a limited budget and reduced amount of funding to deliver proof of concept, validated market response and social impact.A simpler pilot can be executed with €50,000 to train 50 migrants in 6 months. Pitch service to 50 companies. 5 companies landed as customers. Pitch service to 25 companies. 3 companies landed as customers. 40%: Human Resources: Staff and Personnel. 10%: Computers and Internet Access. 10%: Digital Platforms and Content. 10%: Customer Acquisition: Securing first batch of companies hiring migrants. Fees paid by Corporations Hiring Migrants. Sponsorships by individuals, businesses and private, public and social organizations. Operations paid by Assistance Organizations: Private and public organizations can hire our program and services to achieve their goals. A commercial, for-profit corporation sells products and services by migrants to the public. It also offers the service of finding migrants for companies to hire and accompanies their placement and integration within the hiring companies human resources. These migrants can be trained by the association or not. A non-profit association is solely dedicated to training and building capacity of migrants and generates no profits. It can receive donations to train migrants and any profit is reinvested in the capacity building operation. In addition companies can pay the non-profit association to train migrants they wish to hire, but this remains separate from the hiring and placement service offered by the for-profit corporation. The main challenge remains to maintain both structures independent and not having shared staff to avoid legal problems or suspicions from the authorities which may view it as a scheme to avoid paying taxes. There are a number of initiatives trying to build capacity of migrants and connecting them with jobs. But none has a comprehensive approach and a business focus to generate wealth and profit for all those involved like we do. We have collaborated with Aurore, mentored at Techfugees hackathon and Makesense Startup Weekend events. We have also approached and held collaboration conversations with Singa, Makesense, Techfugees and Konexio. Other organizations and initiatives include Acces Inclusive Tech, Emaus, Simplon, Place Network, Kiwanda and Refugee Talent Hub. They all work with capacity building, promoting entrepreneurship or providing support for refugees but their focus and approach is different than ours. The following components are complete, ready to use and in the case of the listed platforms, operational. Breakdown of costs, revenue sources, growth projections. Investment required and return on investment. Budget for short pilots and for 5-year plan. Identification of stakeholders, challenges, opportunities, interventions, mechanisms and partners. Cost and Prices of Services Offered. With actions, budget and impact expected. Payment and Fundraising Platform: impactmigrants.com/give. Credit card and Paypal enabled. Volunteer and Mentor Matching platform: impactmigrants.com/volunteer. Google + Brand Account: plus.google.com/b/105124328984100215758. Google Analytics configured for traffic measuring. With adult migrants in Paris. September 2017. With homeless migrants children in Paris. Ongoing since July 2017. Our founding team has over 20 years of experience developing social technology, services and education initiatives for vulnerable populations for which it has received international recognitions and awards. Carlos Miranda Levy: Google and Stanford University Fellow, National University of Singapore Social Entrepreneur in Residence, Gates Foundation Scholar, Featured as 20 Latin American Internet leaders by CNN for his social tech startups in Asia, Caribbean, Latin America and Europe. In addition, Carlos is both son and grandson of migrants and a migrant himself. Robin Low: National University of Singapore and Harvard Alumni. Founder of multiple profitable social startups in South East Asia and advocate for disaster survivors and displaced individuals empowerment through business. Inmaculada Madera and Mary Inchaustegui: Senior educators with multiple Masters and PhDs in digital education and academic management. Our Multidisciplinary Team Hire Migrants!